“European Funds Open Days” (EFOD) is the largest nationwide campaign to promote projects co-financed with EU funds. They aim to raise awareness of what many EU projects have managed to achieve, and why they are so important for society. 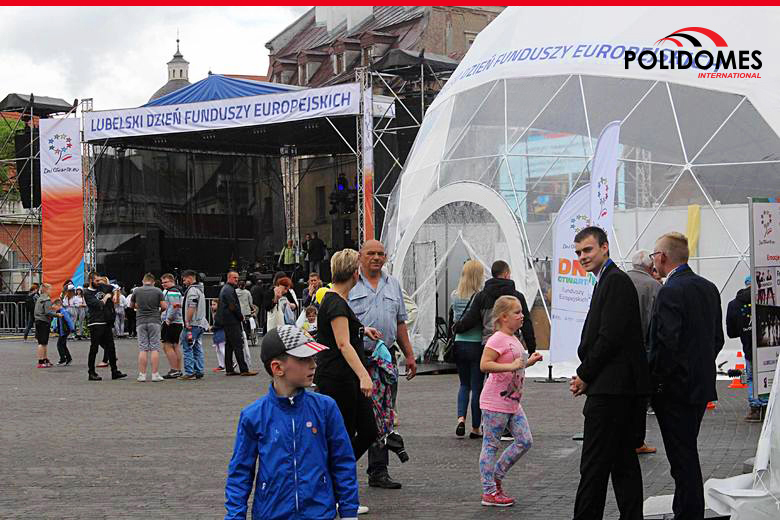 For three years now, one weekend in May is turned into a “Festival of European Funds,” organised by the government of Lublin Voivodship. 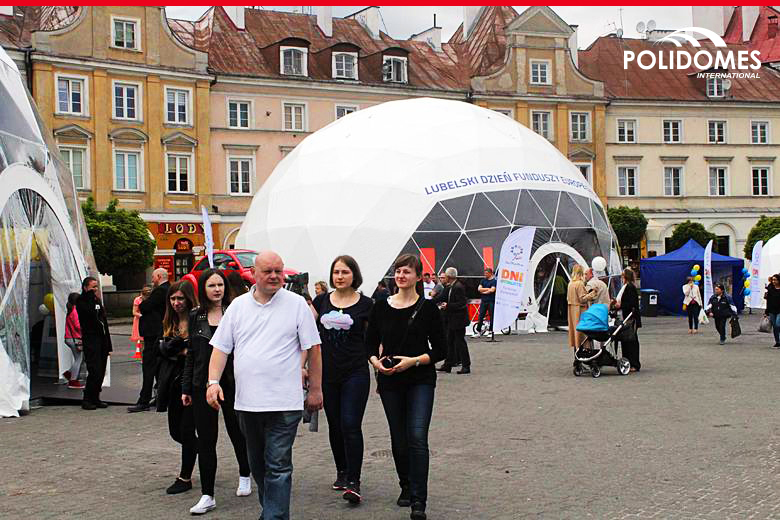 The project is centered in Lublin, where the Saturday family picnic was organised on Castle Square. 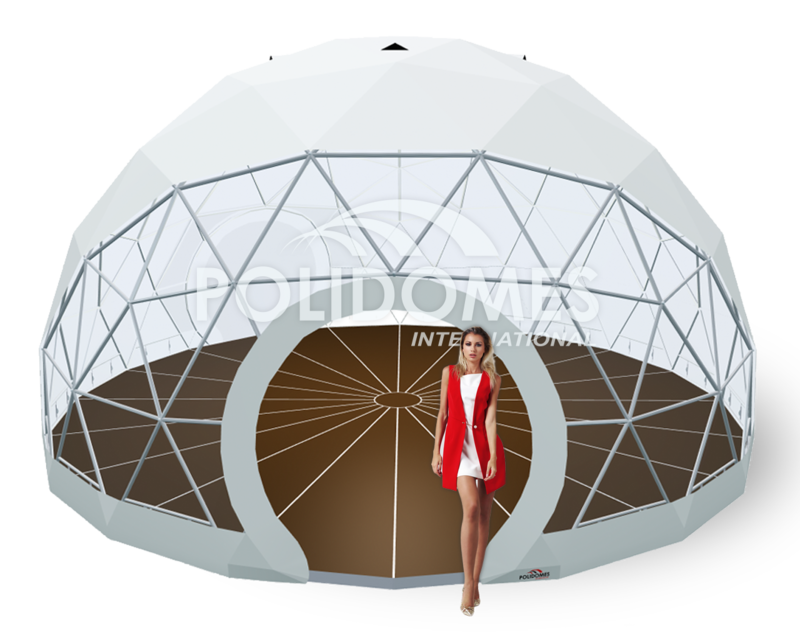 Especially for this occasion, Polidomes created a ‘funds town,’ consisting of 3 Polidomes event dome tents: Polidome 75, Polidome 150, Polidome 300, covered with a translucent membrane logo to promote EFOD. An aluminum-finished floor lent elegance, and anchored the entire structure. The modern look of the geodesic dome’s interior and exterior was a big attraction, successfully attracting many interested visitors during the Open Days. Among the tents, more than 40 different attractions awaited the guests. For the youngest visitors, the most popular were the experiments organised by the Copernicus Science Centre, including a tasting of molecular ice cream with organic apples, and a racecar driving simulator. Adults preferred to check out the Zielawa Valley stand, promoting a region famous for the cultivation of healthy herbs and infusions, as well as hair condition tests and free consultations on how to apply for an EU grant. Moreover, the International Association of Medical Students held demonstrations of emergency medical assistance, and offered free blood sugar and pressure tests to all attendees. In the evening, at the end of the campaign promoting EFOD, Jacek Kawalec, Ewa Błachnio, the Chatelet formation, the DELUXE group and Afromental appeared on the main stage next to the tents. 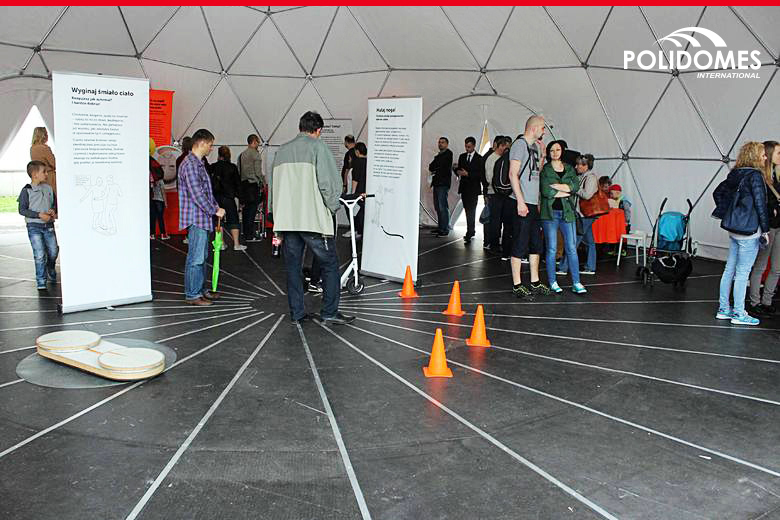 Mobility and functionality are the two characteristics of Polidomes geodesic event tents. They give you the opportunity to present you products and services anywhere you like. They can be modified and tailored to suit individual customer needs. With a wide range of dome sizes, Polidomes tents are able to accommodate even a large number of people. They are easy to install and light, and at the same time resistant to all weather conditions as well as harmful UV rays. We assist you through the whole order process: from design and production through to logistics, installation and service. Our priority is attention to detail and customer satisfaction. Be on top, stand out from the competition! Contact us today!